The ICFHR 2016 will be held at the Ming Wah International Convention Centre, Shenzhen. 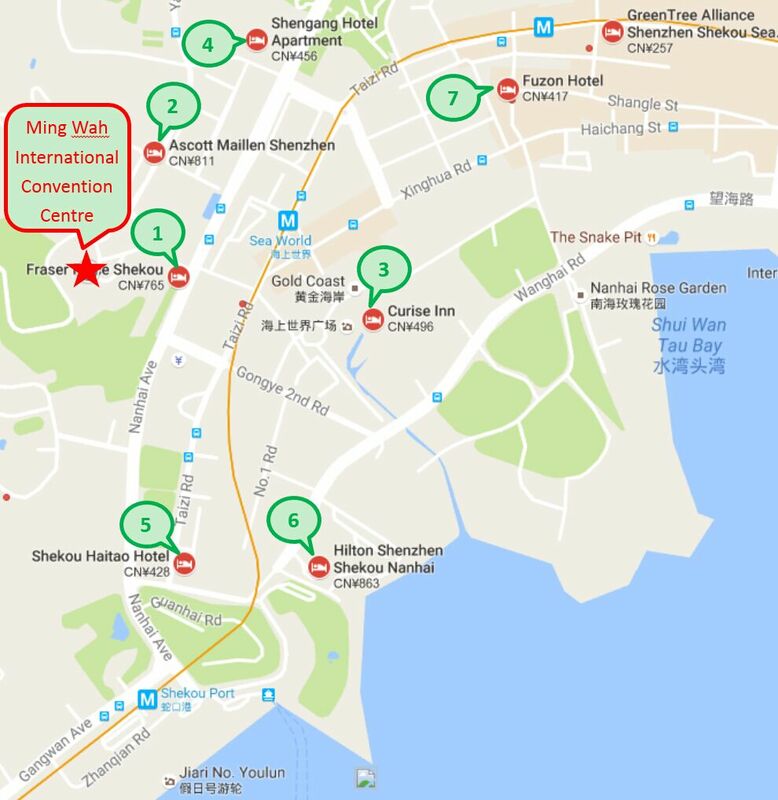 The Ming Wah International Convention Centre (venue of the conference, a four-star hotel) offers a number of rooms at discount rate. The price of a double room or twin room is 550 RMB per night, and a suite costs 800 RMB per night. If you choose to stay at the Centre, please submit your reservation information at the registration page http://www.nlpr.ia.ac.cn/icfhr2016/registration.htm. You can also book it by sending email to ppyang@nlpr.ia.ac.cn or icfhr2016@nlpr.ia.ac.cn indicating dates of check-in and check-out, room type, and number of persons (1/2). The rooms, due to the limited number, will be offered based on first-come-first-serve. You are suggested to reserve as early as possible after you have registered. You can also reserve the Ming Wah International Convention Centre at link1, link2, or link3. In addition to the Convention Centre, there are many hotels nearby, which you can book on the Web. Below are a map and the list of hotels.